The exclusive hotel will host six people at a time – including two crew members. Space travelers have to cough up $9.5M per person and an upfront deposit of $80,000 to secure a place. 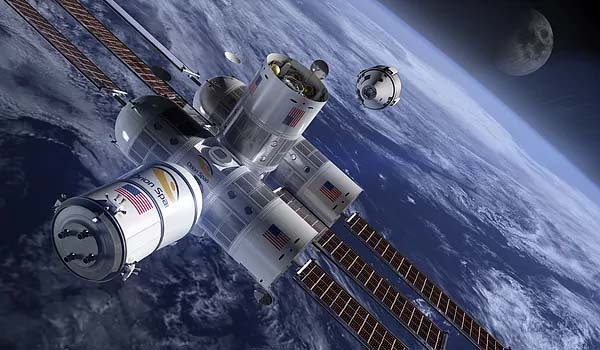 A Houston-based startup is offering wealthy patrons an opportunity to stay at its space hotel dubbed Arizona Station by late 2021. Potential clients will have to cough up $9.5 million including a $80,000 deposit upfront to secure a spot at the hotel and it is believed that four months of reservations were sold within 72 hours of the announcement being made earlier this month. The luxury space hotel was introduced early this month during the Space 2.0 Summit in San Jose, California. Named after the magical light phenomenon that illuminates the Earth’s polar skies, Aurora Station is being developed by Orion Span and the company’s team of space industry veterans. The exclusive hotel will host six people at a time – including two crew members. Space travelers are being promised a once-in-a-lifetime astronaut experience with extraordinary adventure during their 12-day journey, starting at $9.5M per person. Deposits are now being accepted for a future stay on Aurora Station, which is slated to launch in late 2021 and host its first guests in 2022. The fully refundable deposit is $80,000 per person and can be reserved online here. “We developed Aurora Station to provide a turnkey destination in space. Upon launch, Aurora Station goes into service immediately, bringing travelers into space quicker and at a lower price point than ever seen before, while still providing an unforgettable experience,” said Frank Bunger, CEO and founder of Orion Span. Prior to take-off, those set to travel on Aurora Station will enjoy a three-month Orion Span Astronaut Certification (OSAC). Phase one of the certification programme is done online, making space travel easier than ever. The next portion will be completed in-person at Orion Span’s state- of-the-art training facility in Houston, Texas. The final certification is completed during a traveler’s stay on Aurora Station.